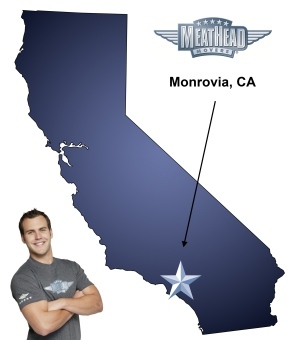 If your future in Monrovia includes a move, check out Meathead Movers! Our professionally trained student-athlete Monrovia movers, moving concierge, and Princess Packers are prepared to get you safely moved into your new home. Festivals, farmers’ markets and family-friendly fun come together in Monrovia, California. Whichever part of this beautiful town you decide to call home, our Monrovia movers can get you settled quickly, so you can get back to enjoying this historic, unforgettable area. Monrovia is nestled in the spectacular foothills of the San Gabriel Mountains. The city’s founders were attracted to the area for its natural resources and frost-sheltered environment that is protected by the Santa Anita and Sawpit Canyons. Local residents aren’t the only ones that have noticed the area’s natural beauty. Monrovia has been featured in movies, TV shows, and advertisements. If you’re ready for change, Monrovia movers can help you and your family move to or from this beautiful community. Monrovia is conveniently located 20 miles northeast of Los Angeles, but it has many of its own attractions. The city’s Old Town neighborhood is the heart of this thriving community. Each May, the town hosts its annual week-long birthday celebration. Family-night festivals are held every Friday beginning in March and continuing through late December. The Old Town has a public square, boutiques, restaurants, and many local businesses. There’s even a 12-screen movie theater for family outings. The community is safe, friendly and surrounded by parks and unspoiled wilderness areas. There are a variety of public parks and recreation areas located in and around Monrovia. The largest and most popular of these is the Monrovia Canyon Park, which features a nature center, picnic area, and hiking trails that wind across 80 acres of wilderness. From its picturesque surroundings to the community atmosphere, Monrovia is a great place to live, to work and to raise a family. Meathead Movers is family-owned, and our Monrovia movers are here to help your family make a smooth transition to the area. If you’re moving to Monrovia, it’s important to know that all Monrovia movers are not created equal. Meathead Movers is the only moving company in California to offer a 100% satisfaction guarantee. That’s because the company only hires student-athletes who have completed a rigorous application and interview process. Thanks to a strong training program, customers never have to worry that their new sofa or prized heirlooms are being handled by rookies. Our moving company specializes in local, long-distance, and commercial moves to, from, and within Monrovia. We also provide reliable packing, storage, on-site relocations, and our distinctive moving concierge service, which connects you with local service providers. For the best movers in the industry, Meathead Movers is the company to call. Contact our Los Angeles County office today to receive a free quote or to learn more about our innovative moving services. Moving to Monrovia? Here are some helpful resources. Every person I dealt with was very nice and extremely professional. Movers met all my best expectations. They were friendly, diligent and listened and responded thoughtfully. Tim and Tyler are WONDERFUL! They work well together, are helpful and kind, and very hard-working and efficient. They didn't just stuff things in the pod, they planned the order of things so the mostbposdible would fit. I want Tim and Tyler to come and unpack, too! The movers were on time, professional, well-trained, and worked very hard and quickly. I was very impressed had had a wonderful experience. I would highly recommend your company! Carlos and Pedro were professional, friendly and careful with our things. They worked tirelessly to get the work done as quickly as possible. We couldn't have asked for a better move and would highly rcommend your company. Wonderful service from first booking to last cleanup!